We’re a specialist services provider. 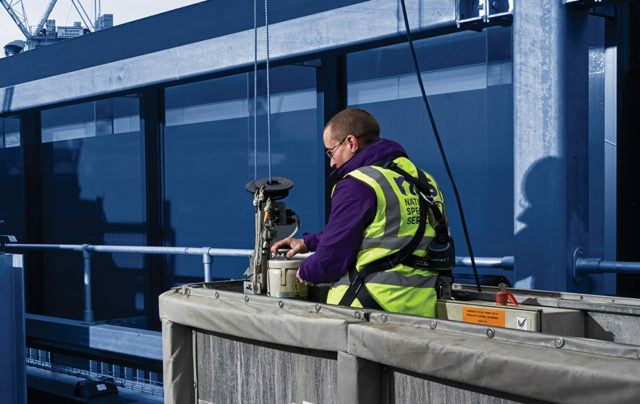 From building maintenance to window and technical cleaning, platform hire and equipment testing, we offer a consistent, self-delivered and most importantly safe service, nationwide. We don’t use sub-contractors. We don’t hire equipment or machinery. Our dependable, in-house team works around the clock and across the country, setting new standards for safety, speed and transparency. Welcome to NSS, a seamless, integrated approach for an altogether better service. They always deliver – that’s why we keep using them. 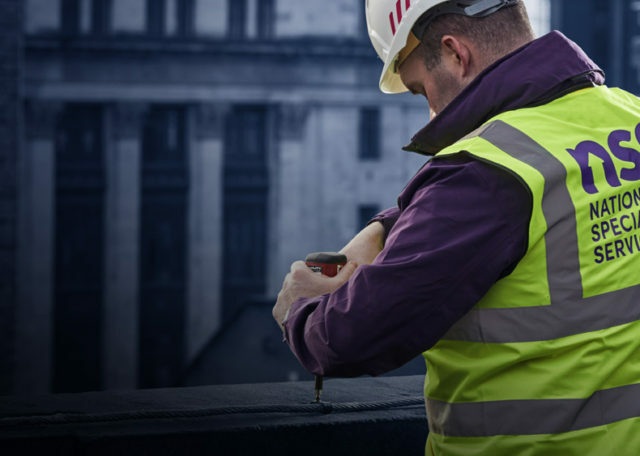 Across the spectrum they are thorough with a belt and braces approach to safety through to detailed post work reports with forward-thinking solutions. Nothing is too much trouble. 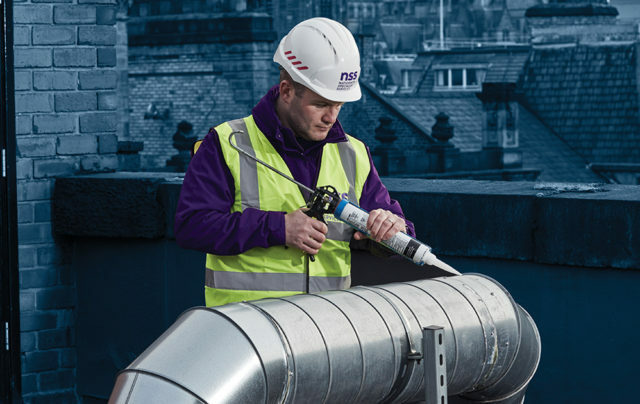 As nationwide specialists, we deliver a one-stop solution for planned and rapid response reactive building maintenance services. So whatever the challenge, we have the answer. From fully qualified, in-house tradesmen, to our very own cutting-edge plant and access technology, we don’t rely on third party equipment. Which keeps costs lower for you. 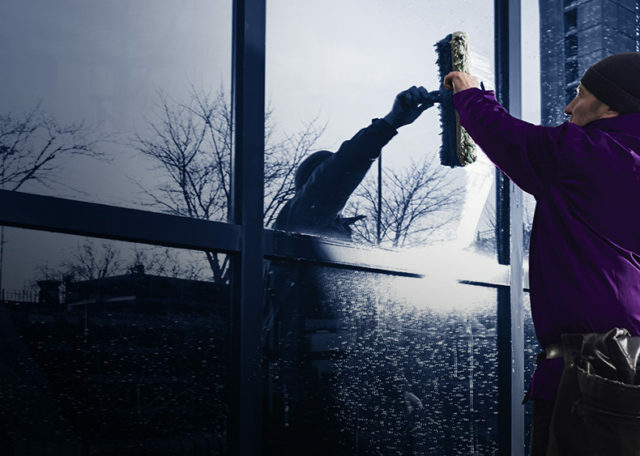 With a nationwide team of directly employed operatives and a regional depot and management structure, we are ideally positioned to effectively deliver commercial window and specialist cleaning on both a planned and reactive basis. To us, no window, no location and no scale of project is out of reach. 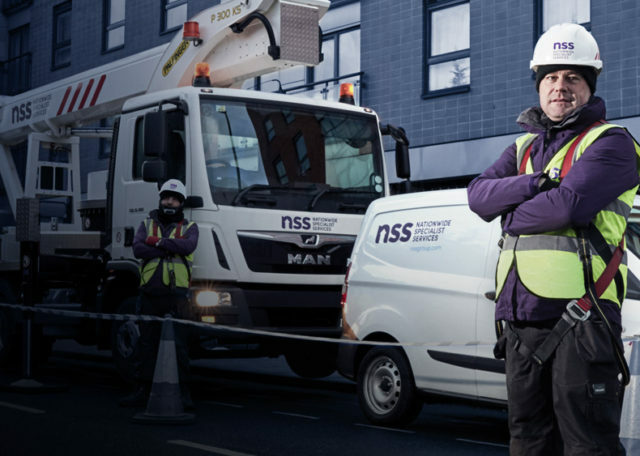 I’ve been working with NSS for a number of years and the service has always been great. They’re always looking to raise their game and they’ve clearly made recent investments which have made the whole process feel even more seamless. 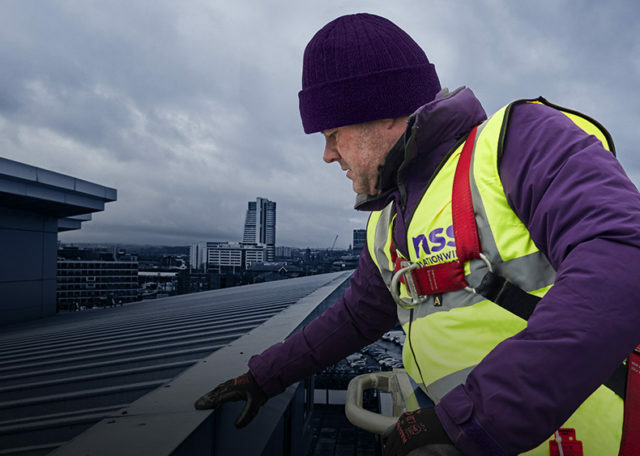 We have always found NSS to be extremely professional and totally committed to carrying out all works with the utmost regard for health and safety, we have no hesitation in recommending them. We find NSS to be thoroughly professional & efficient while still achieving that difficult thing called flexibility, we have no qualms about recommending NSS & their services. 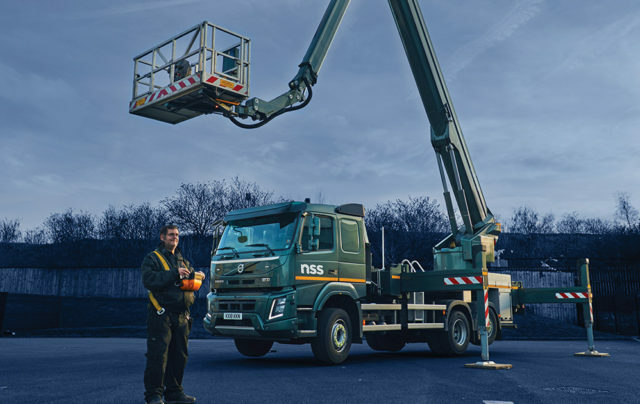 We are experts in the hire and operation of powered access platforms. Our skilled team has significant experience supplying a comprehensive range of vehicles to multiple industries so we understand that a reliable service is your absolute priority. Combining this need with the NSS mantra of ensuring everything is performed in the safest way and you can rely on our vehicles and operators. We specialise in the testing, installation and maintenance of fall protection and access systems, delivering all aspects of electrical and mechanical project work for commercial clients and property managers across the UK. Our vast experience means we aren’t just here to support you in compliance but to lead the way through innovation and expertise. 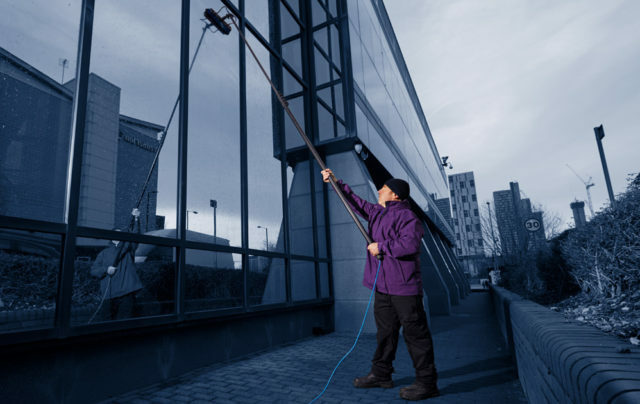 A clean, well-maintained and fully functioning building is essential to keeping your business moving and presenting a positive impression to your customers. So you can be sure that we’ll act reliably and with your brand’s reputation firmly in mind. Your business operations are depending on us and we never forget it.